XPO Logistics has reported an 11.5% growth in revenue for its third quarter financial results. The total figure of $4.34bn increased from $3.89bn in the previous year period. 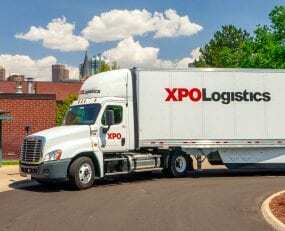 XPO’s contract logistics and freight brokerage services led the revenue growth. Operating income rose to $209.0m from a figure of $176.7m for Q3 2017 representing an increase of 18.3%. The company’s Transportation segment generated revenue of $2.85bn for the quarter, a 10.5% increase from the same period in 2017. Segment revenue growth was led by increases in freight brokerage and last mile in North America, as well as dedicated truckload transportation in the UK and France. Operating income for the transportation segment increased to $195.2m in the quarter, compared with $145.2m for the same period in 2017. Totalling revenue of $1.52bn for the quarter, XPO’s Logistics segment grew by 13.1% in comparison to the same period in 2017. Driving the segment growth was increasing demand for XPO’s services. This was particularly evident for e-commerce logistics globally, consumer packaged goods and the food and beverage sectors in North America, and the fashion sector in Europe. Operating income for the Logistics segment decreased to $59.5m, compared with $67.3m for the same period in 2017. The decrease in operating income primarily was due to a $15.6m charge related to a customer bankruptcy, and to a record number of contract start-ups year-to-date: 46 in Europe and 44 in North America.